Despite Airdrie being four places above Stenny in the table before kick-off, the visitors had won two out of the three ties between the sides so far this season. 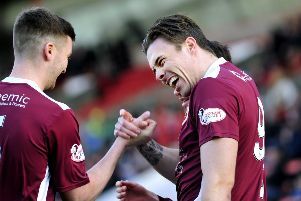 Stenhousemuir came into the late kick-off knowing that they could draw level with ninth-placed Brechin City after the Glebe Park side drew with league winners Arbroath earlier. Colin McMenamin’s side started very strong with Greg Hurst firing two shots in on goal within three minutes of kick-off. However, both efforts went over the crossbar. The only goal came at five minutes with a Sean Mcintosh mistake allowing Hurst through to square it to Mark McGuigan who was left with a tap-in. 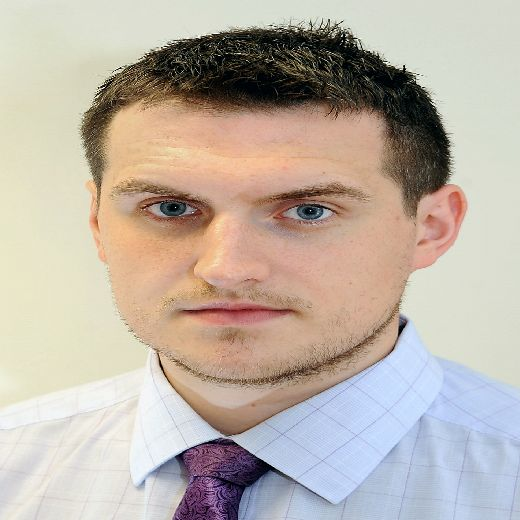 It was the Falkirk Herald Sports Star of the Year's 17th of the season. The first half was by in large dominated by Stenny; the Diamonds had a couple of breakaway chances but weren’t creating any clear-cut shots on target. The home side’s best opportunity came from Leighton McIntosh who blasted in from in front of the penalty spot producing a fantastic reflex save from Graeme Smith. Ian Murray was obviously keen to turn things round with a double change at the break – Dean Hawkshaw and Dean Cairns came onto replace Sean McIntosh and Kyle Wilkie. The second 45 started in the same way as the first with Greg Hurst bursting through on goal with only the keeper to beat. However, the Airdrie number one blocked the shot. The opening twenty minutes of the second-half saw the Stenny midfield give away several free-kicks in dangerous territory. But, Airdrie’s Kieran MacDonald could not find the net. The home side were really piling on the pressure with Leighton McIntosh forcing another good save from Graeme Smith. As the game entered the final fifteen minutes, Andy Munro picked up a yellow card giving away a further free kick from around twenty-five yards out. The effort went wide of Graeme Smith’s post, but the Warriors were under constant pressure at the back. Stenny striker McGuigan was scoring at one end and denying the Diamonds at the other with a header off the line after Sean Crighton headed in from a corner. Referee David Munro halted the game, to consult his assistant, but waved away Airdrie shouts for a goal. The closing minutes were not comfortable for Colin McMenamin’s side but they held out for the three points which could prove to be crucial in their fight for survival.